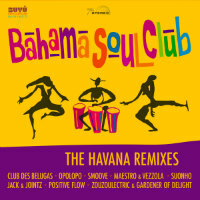 Having established a popular latin breakbeat insurgency with their recent Havana ’58, Bahama Soul Club don’t appear to have had any trouble recruiting like-minds to join their cause. This has culminated in The Havana Remixes – on which a set nine-tracks deep is delivered by an eight-strong unit of guerrilla producers consisting of Smoove, Suonho, Jack Jointz, Opolopo, Zouzoulectric, Maestro & Vezzola, Positive Flow and Club Des Belugas. 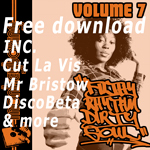 Anything with a decent-sized beat on it from the original LP has been stripped down and re-tooled for heavier dancefloor action which is why you’ll find that six of the tracks hereon consist of two versions apiece off Havana ’58. Three cuts chart an openly dissident musical course – Opolopo’s jazz-house take on Dizzy’s Bounce and both Zouzoulectric and Maestro & Vezzola’s latin-house take on Tropicana Flight while Smoove and Jack & Jointz flirt with the same influences whilst maintaining some semblance of a breakbeat party line. Of most interest to monkey readers however are both Suonho efforts – a latin-jazz breaks rework of No Words and an elegantly rolling breakbeat version of Muevelo Papi along with Club Des Belugas’ pumping 86bpm/ 192bpm version of the same. Viva la revolucion!